3D Realms is back and presumably better than ever. At Quakecon 2015 they gave a glimpse into what the actual gameplay looks like for their upcoming top-down classically inspired shooter, Bombshell. Bombshell looks to continue the shooter revival with the comedic flair you’d expect from 3D Realms. You’ll come against hordes of enemies that never seem to stop their harassment of you. Of course there are hilariously named weapons for you to enjoy fighting with, such as Ion Maiden and Mother Flakker. Would you expect anything else? Oddly, Bombshell suffered a delay for similar reasons that Duke Nukem: Forever did as they switched engines to Unreal Engine 3 and had to either import assets, or work entirely from scratch again. 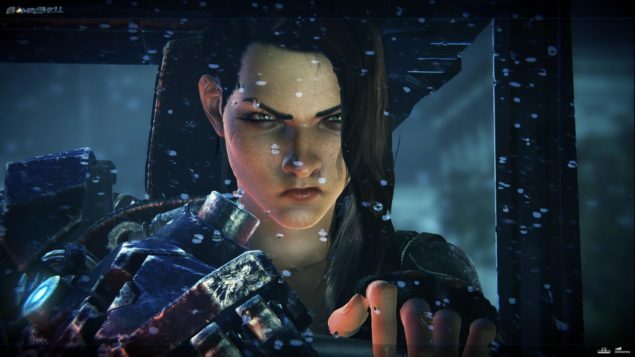 We were going to see it in 2014, but thankfully 3D Realms is being more than open about their development of Bombshell. The premise of Bombshell shouldn’t surprise anyone who knows the type of content that 3D Realms is know for. You’ll control Shelly “Bombshell” Harrison who was previously a colonel in the Global Defense Force. After losing her arm and her commission due to “the Washington Incident”, she’s offered a new lease on life by a private military corporation. This will be an isometric, top-down action game with RPG type elements included. We’re looking at a summer 2015 release on the PlayStation 4, Xbox One and on the PC.